The phone plan as we know it is changing. Gone are the days when you were stuck with one of four carriers that charged a little over-the-top for their service. Nowadays, you have a ton of companies at your disposal when choosing a carrier in the United States. Perhaps the most interesting new options are MVNOs, or Mobile Virtual Network Operators. These companies use the networks and towers owned by the major four carriers — AT&T, Sprint, Verizon, and T-Mobile — but buy access to that service in bulk at wholesale value, then sell it back to customers. The result? A slew of interesting and inexpensive options for those unwilling to go with the big four. There are some great things about going with an MVNO, but there are also some downsides to consider. The main selling point of going for an MVNO is that they can get quite a lot cheaper — but considering the fact that the infrastructure is owned by competitors, there are some limitations. For example, MVNOs often have monthly data caps, and their network speeds may not be quite as fast as one of the big four carriers. Another important thing to consider is the handset you want to go for. MVNOs sometimes require that you buy a phone directly through them — and not all MVNOs have a good list of phones at their disposal. Alternatively, sometimes you can bring an unlocked phone to the company, though you’ll have to make sure that your phone is compatible with the MVNO you’ve chosen. Still, while there are some downsides, the financial benefits are hard to ignore. After all, MVNOs are often far cheaper than what’s offered through the major carriers. Boost Mobile is owned by Sprint, and it offers some pretty great single-line plans. In fact, it offers the cheapest unlimited data plan we’ve seen yet. The MVNO uses Sprint’s network, and while you can bring your own phone to the company, only a few select Sprint phones are compatible, so keep that in mind. Having said that, if you’re willing to buy a new phone, Cricket does have a nice selection of phones to choose from. The company doesn’t necessarily offer all that many plans, however. For a single-line plan, you’ll have the option of either a $35 plan, which gets you unlimited talk, text, and data with 3GB of that data being on LTE speeds, or a $50 plan, which gets you unlimited talk, text, and LTE data. That’s $5 cheaper than the Cricket Wireless option. There are also family plans, however, they’re the same price as the single-line plans for the first line, after which you’ll pay $30 per line. Straight Talk is a relatively well-known MVNO, largely because it’s the result of a partnership with TracFone and Walmart. Such being the case, you’ll see Straight Talk stalls in Walmart stores all around the country. It’s a great option for those who want wide coverage, as it makes use of the four major carriers in the United States. The monthly plans at Straight Talk range from $30 a month, which will get you unlimited texts, 1,500 minutes of talk, and 100MB of data, to $55 per month, which will get you unlimited talk and text, and 12GB of 4G data, after which your data speed will be throttled to 2G. There’s also a $60 plan, which offers unlimited international calling and 8GB of 4G speeds, after which the speed will go down to 2G. It’s really not a bad offering, and while it can get a little pricey, there are some clear advantages, like the huge coverage area. Google Project Fi is another MVNO that uses Wi-Fi to handle calls and texts when it’s available, but Google also has another trick up its sleeve: It refunds customers for any data they don’t use. You’ll start by paying a $20 base fee, which will get you unlimited talk and text, after which you’ll pay $10 for each 1GB of data. Then, however, you’ll be refunded for any data you don’t use, which can be used toward your next bill. For example, let’s say you pay $40 for 2GB of data, but during the month, you only use 1.5GB of data. You’ll then be refunded $5, which can be used toward your next bill. It’s really a neat idea, and means that you’ll only spend money on what you use. You can also add more data during the month, if you happen to go over your pre-paid amount. There is a major downside to Project Fi, however, and that’s that you can only use a few phones with it. Those phones include the Google Pixel and Pixel XL, and the Nexus 6P. If you’re fine with that, however, we would argue that Project Fi is the best choice on this list. Cricket Wireless is owned by AT&T, and as such, it uses the AT&T network. While you can bring your phone to Cricket Wireless, the company also has a number of phones on offer — and some of them are offered for free to those that port their old phone number over to the network. Like some of the other MVNOs on our list, Cricket Wireless also offers unlimited data, but what you’ll be paying for is a certain amount of high-speed data. 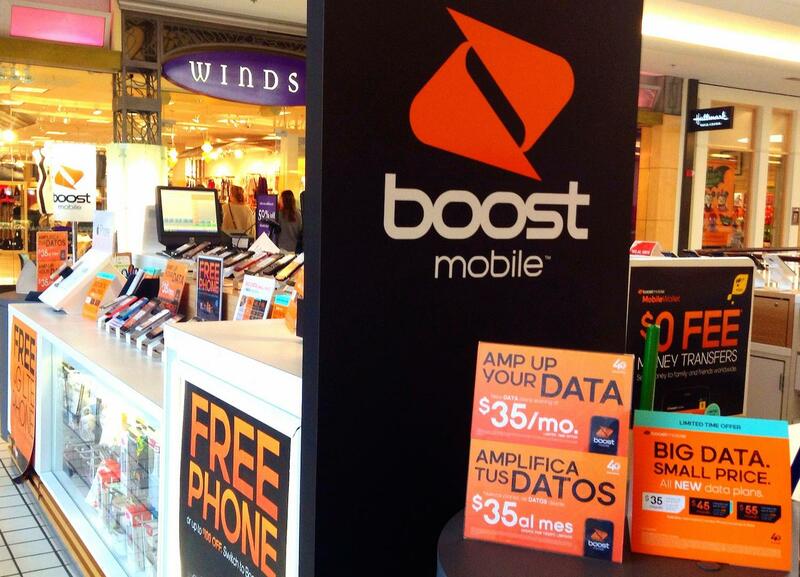 Plans start at $30 for unlimited talk and text with 1GB of data, and go up to $55 for unlimited talk, text, and data. That’s not a bad price at all. Virgin Mobile has been around for some time now, and operates in countries all around the world. In the United States, it’s a pretty solid option, though not necessarily better than some of the others on our list. There are three main single-line plans on Virgin Mobile, and they all include unlimited talk, text, and data. The first costs $35, and will get you 5GB of LTE data. The second comes at $45, and will get you 10GB of LTE data. The third and final offers unlimited LTE data. Republic Wireless has gained a lot of notoriety over the past few years, and for good reason. It was among the first companies to offer calling over Wi-Fi, which essentially means that customers can do away with having to buy minutes in favor of only using data. Still, there will be times when you don’t have access to Wi-Fi, and Republic Wireless has a number of plans to help with that. The cheapest plan is $15, and allows for unlimited talk and text, but no data. Don’t be fooled by Republic Wireless’ claim to offer “unlimited Wi-Fi data” — the company has no control over how much you’re allowed to use over Wi-Fi. The first plan with cellular data comes at $20, and you’ll get 1GB of data. Plans go up to $90 a month, and for that, you’ll get 10GB of data. FreedomPop is an MVNO known for offering a basic free plan to those who want it. That plan, however, isn’t really enough for most people — you’ll get 500 texts, 200 minutes, and 500MB of data a month using it. Still, most customers will want to upgrade to FreedomPop’s paid plans, which start at $11 a month for unlimited talk and text, plus 500MB of data. These range up to $35 a month for unlimited talk and text, plus 4GB of data. That’s not too shabby. FreedomPop also offers family plans, which could be a great option for more than one person. Through the family plan, you can get 1GB of shared data for free, or anywhere up to 25GB of shared data for $160 a month. PagePlus is one of the few MVNOs that uses the Verizon network, which means you’ll get pretty good coverage around the country. Not only that, but it’s also one of the few to offer unlimited data. The company offers two different types of plans. For starters, you can get a no contract monthly plan, which starts at $12 a month and gets you 250 minutes, 250 texts, and 10MB of data, and ranges up to $70 for unlimited talk, text, and data. However, only 10GB of that data will be on 4G LTE speeds — after that, you’ll be throttled to 2G. PagePlus also offers a pay-as-you-go calling plan, and prices for that start at $10 for 100 minutes, and range up to $80 for 2,000 minutes. PagePlus has a decent selection of phones, too, including recent devices such as the Google Pixel and Samsung Galaxy S8. You can also bring your own, if you prefer to do that instead. Tello, which uses the Sprint network, is arguably the cheapest MVNO out there, and it prides itself on being totally customizable. You can buy minutes, text, and data in chunks, meaning that you can technically get a 200-text plan for as cheap as $2. There are also plans that allow for unlimited talk, unlimited text, and 5GB of data, but those will set you back $63 a month. Tello also has a number of pre-built plans you can go for — like its “Economy” plan, which costs $13 and nets you 100 minutes, 200 texts, and 500MB. There’s also a “Delta Savvy” plan, which costs $52, and gets you 200 minutes, 200 texts, and 5GB of storage. AirVoice is relatively standard as an MVNO, and makes use of AT&T’s network. The plans range from $5, which will get you unlimited talk, text, and 25MB of data for five days, to $50 a month, which will get you unlimited talk, text, and 5GB of data. The company also offers unlimited international texts in all of its plans, which might be a big advantage for some people.